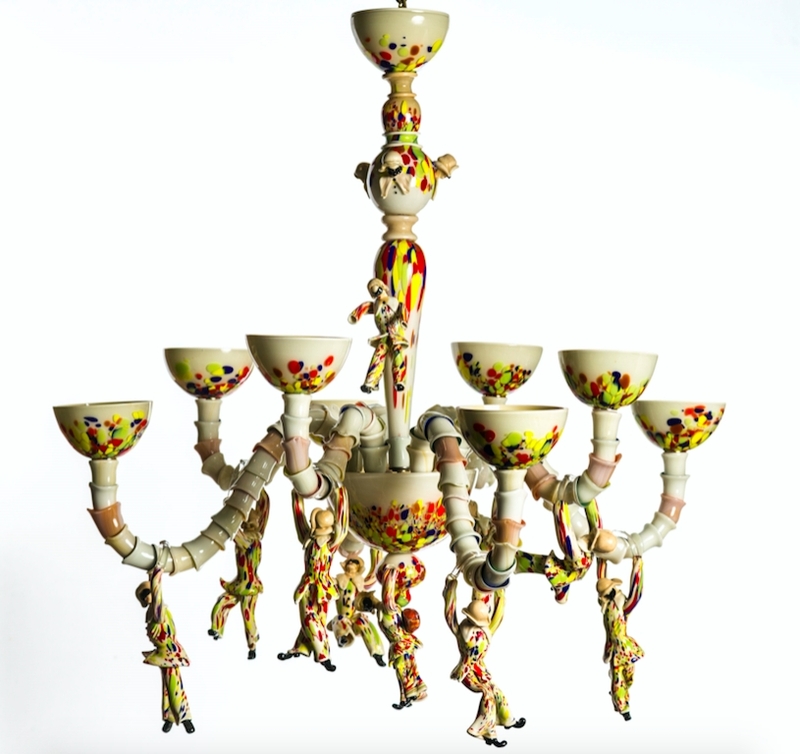 Harlequin chandelier. Made of mouth-blown glass, modern Rezzonico style and solid glass figures. Several colours.